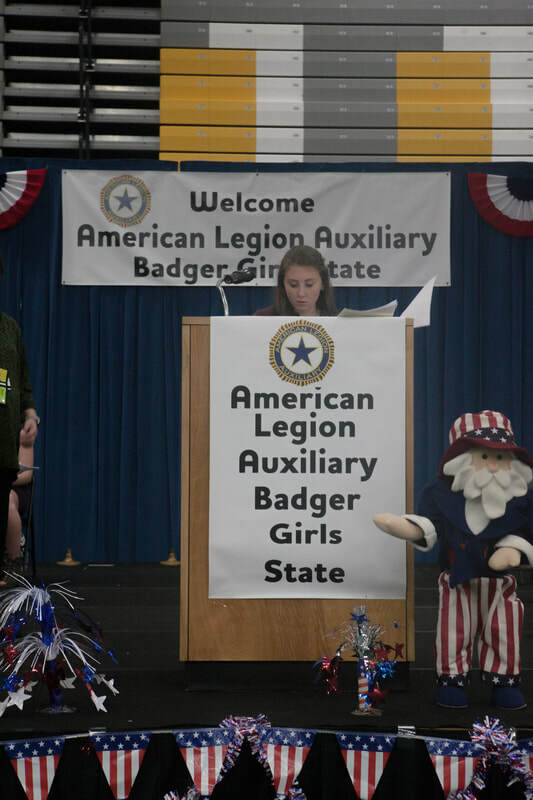 American Legion Badger Girls State (ALABGS) is a week-long government and leadership conference for young women in their junior year of high school. Attendees of the program will learn by doing as they become citizens of the fifty-first state, the state of Badger. Citizens will have the opportunity to run for offices on the city, county and state levels of government and will work together to make Badger the best state in the Nation. Delegates of the program are sponsored by their local American Legion Auxiliary unit, making the cost for the delegate free. ​Individuals interested in becoming a delegate should speak to their high school guidance counselor. Purchases made within 2 weeks of the session will be sent to UW Oshkosh and can be picked up when you arrive to ALABGS. The online store will be closed DURING the ALABGS Session, and will be reopened after the session.